My embroidery is zipping along. I think I'm about 85% done at this point. I have three flower sections and two stem/leaf sections left, and I'm hoping I'll be able to complete 1-2 of those today. 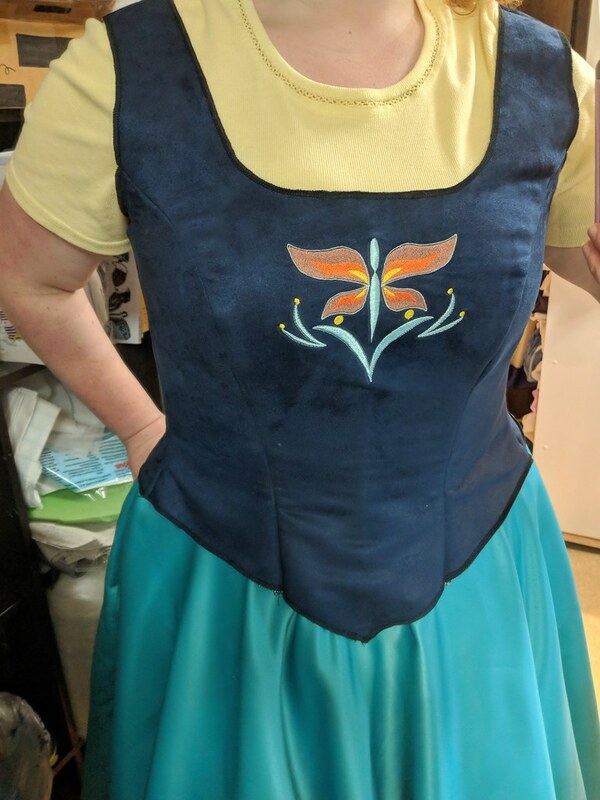 The bodice is also ready for binding. 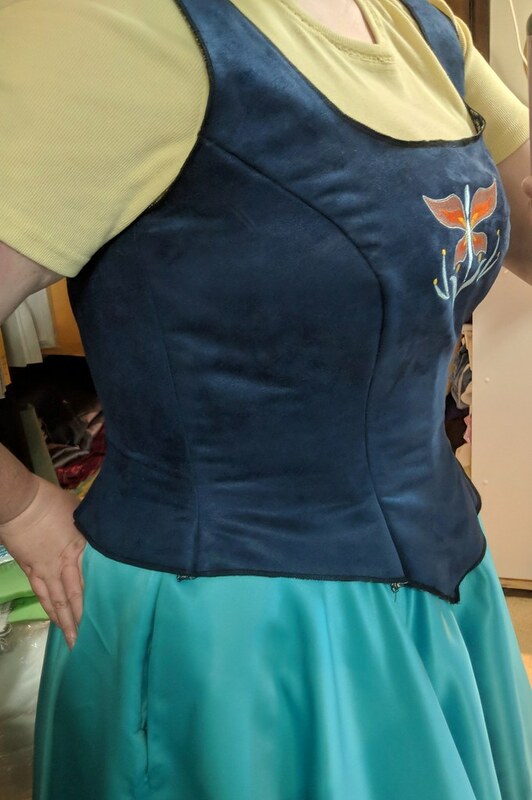 I finished sewing it all together yesterday, and after a couple fitting tweaks (I wound up taking it in about 1.75" in the waist and about .75" at the top of the CB), I think it fits quite nicely! 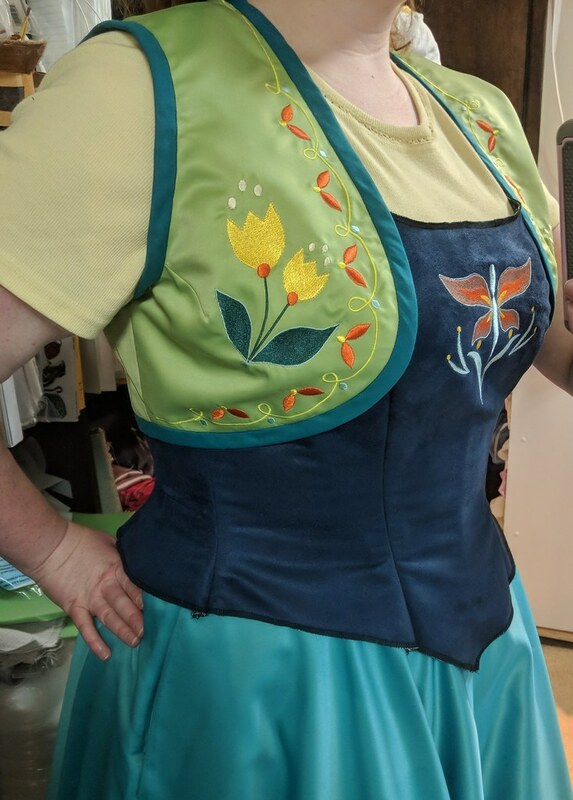 Not sure I'll get all the binding done today, but I might at least be able to start it between work and rehearsal. The shirt is my stand-in shirt I found at the thrift store, which I will use if I run out of time for the actual shirt. 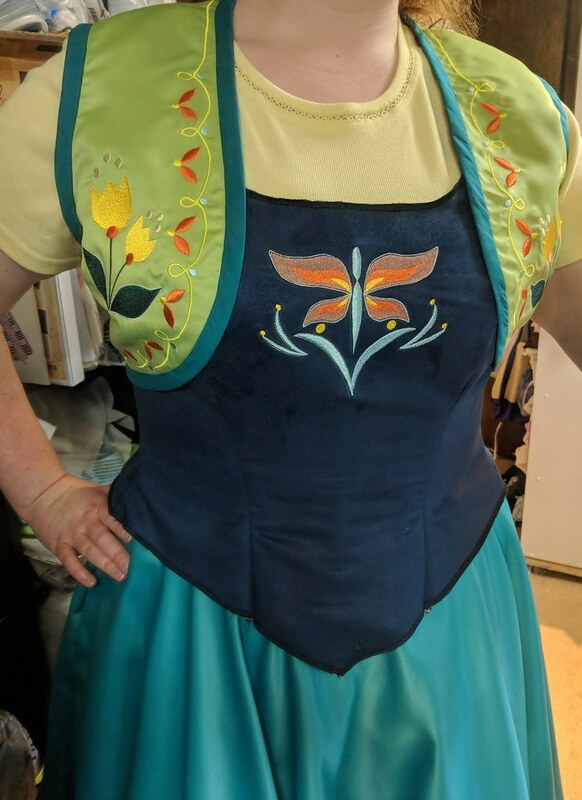 I still want to make the Anna shirt, the blouse to go with the Disney jumper, a tam for Merida, and ideally, a costume for Lion for Halloween. And I need to clean my house and finish decorating for Halloween. But I don't think I have time for all that, unfortunately.